As you all may have already known, John and Francesca have visited Uganda and Tanzania. 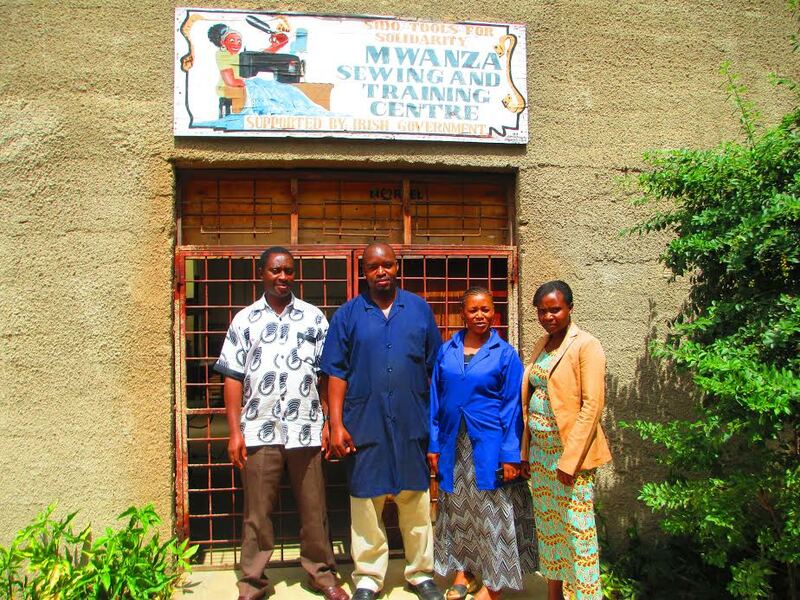 They have been helping our new VORI project with it’s first footsteps as well as checking the MSTC wokshop in Mwanza. Below you can find Francesca’s report about what has been going on so far. When we arrived at the beginning of February the container hadn’t arrived yet and the workshop building was just starting. 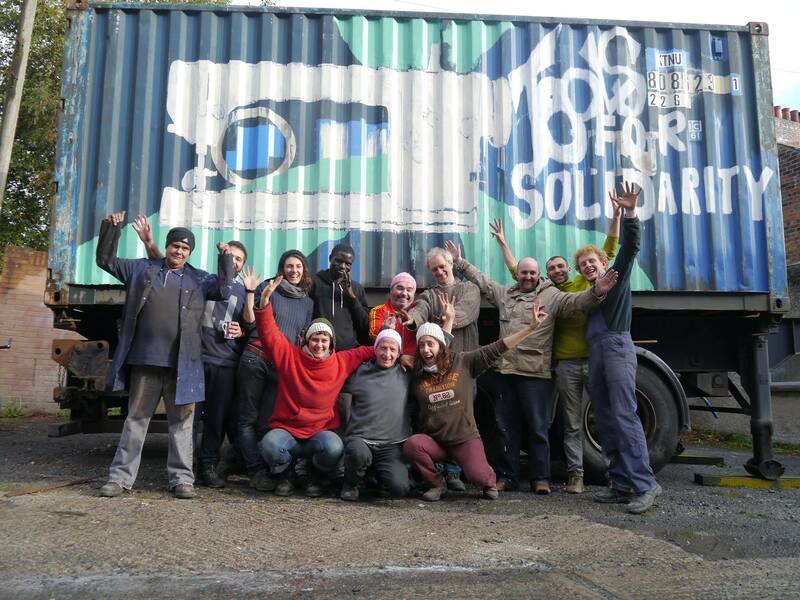 Two months later the workshop is finished and functioning, while the new container has been emptied and transformed into the office for the manager. By the end of next week we will also be completing the training room. 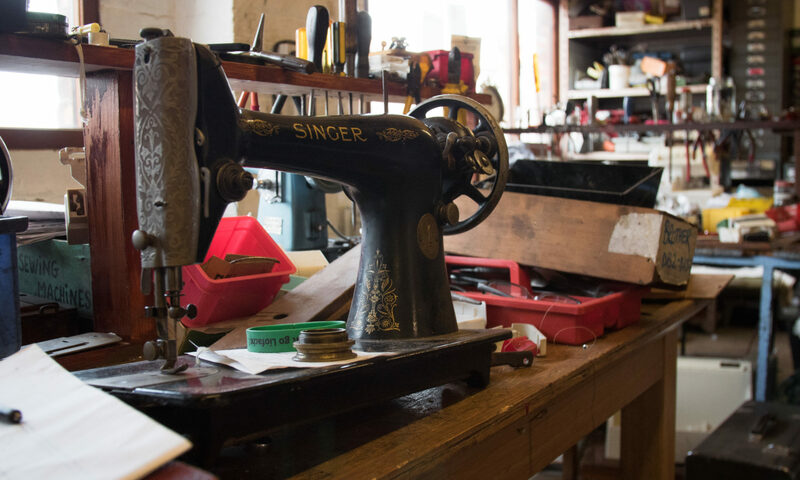 Checking and refurbishment of tools has started and the 50 sewing machines provided this year will all be refurbished by the beginning of next week. It has been intense and hard work. Meanwhile, after waiting for quite a long time, Rambia a group from Western Uganda which requested tools from us over a year ago, was able to visit ASTC and collect a building kit, a carpentry kit and two electric sewing machines for their project. Was quite a challenge to transport all of this on a boda-boda (motorcycle taxi). We hope they will make good use of the tools and the sewing machines and we wish them all the luck for their project. On the 22th of March we travelled to Mwanza and visit the MSTC project for one week. The project is building up its capacity after the fire disaster in July 2013. New shelves and a new grinder room have been built, including a storage space for the material purchased with funds from Lloyds. 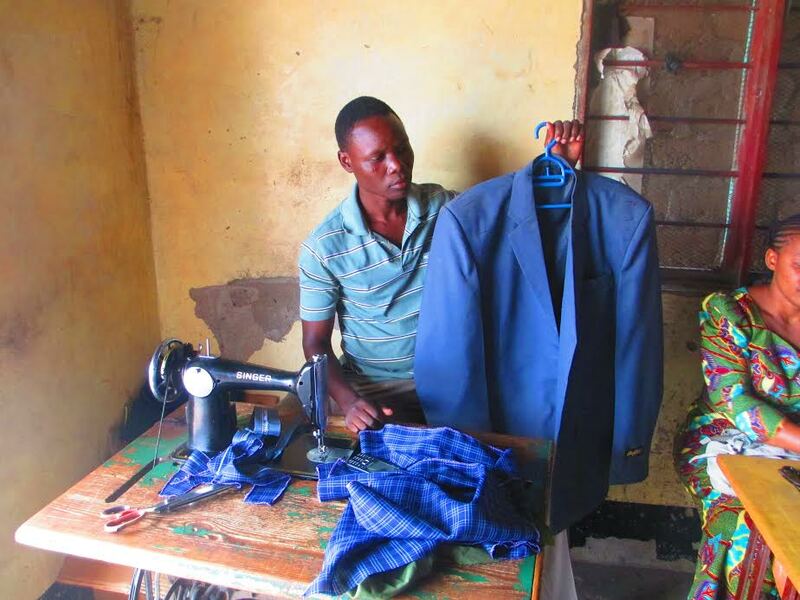 In 2014 MSTC trained nearly 100% of the tailors receiving sewing machine from the centre. This is an incredible result and reason of pride for MSTC and TFS. The trip was also an opportunity to go and visit some of the groups whom received support from MSTC during the years. Groups are happy with both the machines and the training programme and some of them actually requested more training in both maintenance and dress design. 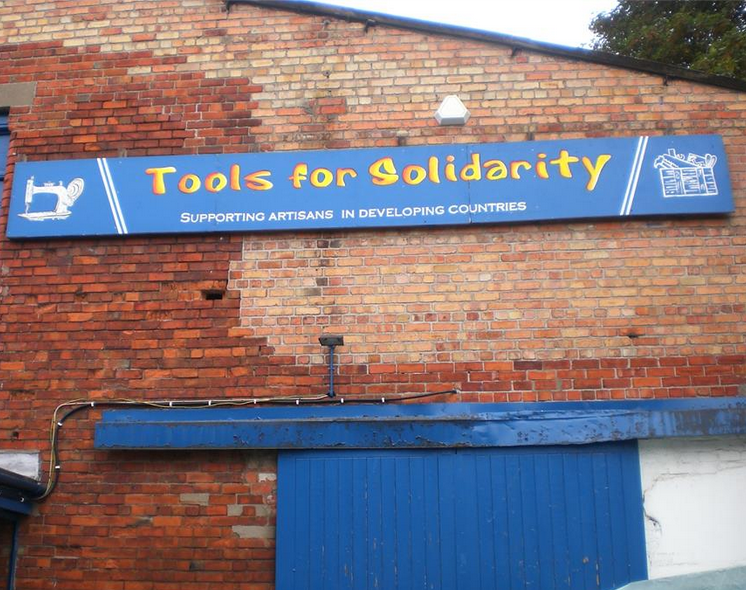 The centre is currently employing two members of staff, Christina (training officer) and Athman (workshop mechanic). The visit was also an opportunity to meet Jane, the former MSTC manager, and thank her for her work in developing MSTC. As you probably know, we had a shipment last week. 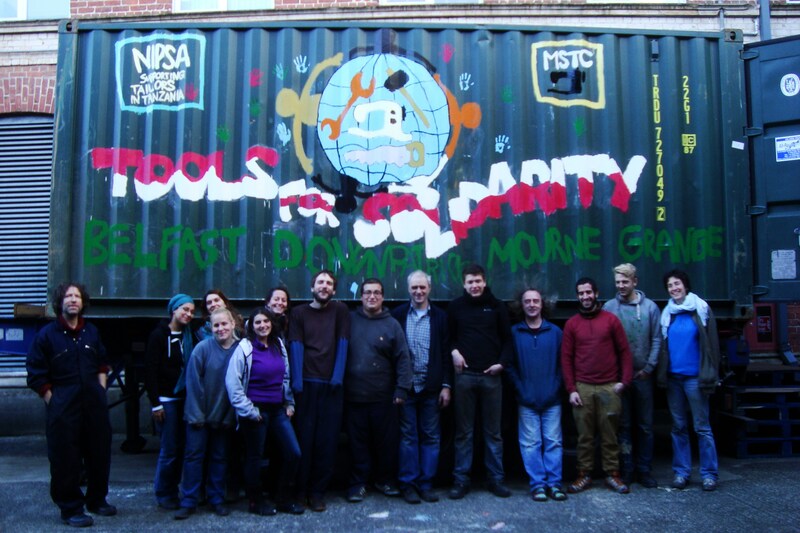 Tools For Solidarity sent his 9th container to the MSTC (Mwanza Sewing and Training Centre). It was quite a bit of hard work for all of our volunteers because of the moving to the new workshop, so we are delighted to archive both at the same time. This shipment contained 270 sewing machines, included 10 knitting machines that are going to be used by people with disability, 7 industrial machines and much more working material which included tools, books and spares for the MSTC. We are also already thinking about the next shipment next month, which will be our first container to our new project in Uganda with The Women Rights Iniciative (WORI). So, you will have news very soon! Also, there has been a lot of changes in the last few months in TFS: we had leavings and arrivals, so in the next days you will have the opportunity to say goodbye and hello to our former and new volunteers. 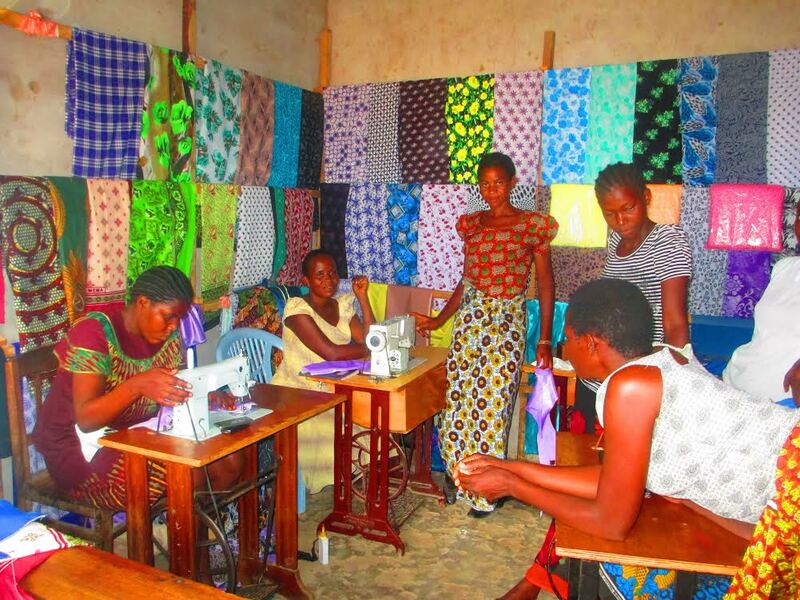 As you will probably be aware the Mwanza Sewing and Training Centre was destroyed by fire in July of 2013. The fire destroyed almost all of the inventory of sewing machines as well as all of the office equipment. Thankfully the enthusiasm and commitment of all the staff of the MSTC was undaunted and the building that housed the MSTC has been rebuilt – all that was needed was replacement inventory. With that in mind we here at TFS worked liked dervishes to put together a shipment that was dispatched in October. The shipment contained 370 sewing machines, 10 knitting machines, 6 industrial machines, 35 treadle tops and a full consignment of office equipment. The shipment arrived at the end of December. The job is not yet finished but thanks to everyones commitment and hard work, potential castastrophe has been averted. As ever, the work continues.